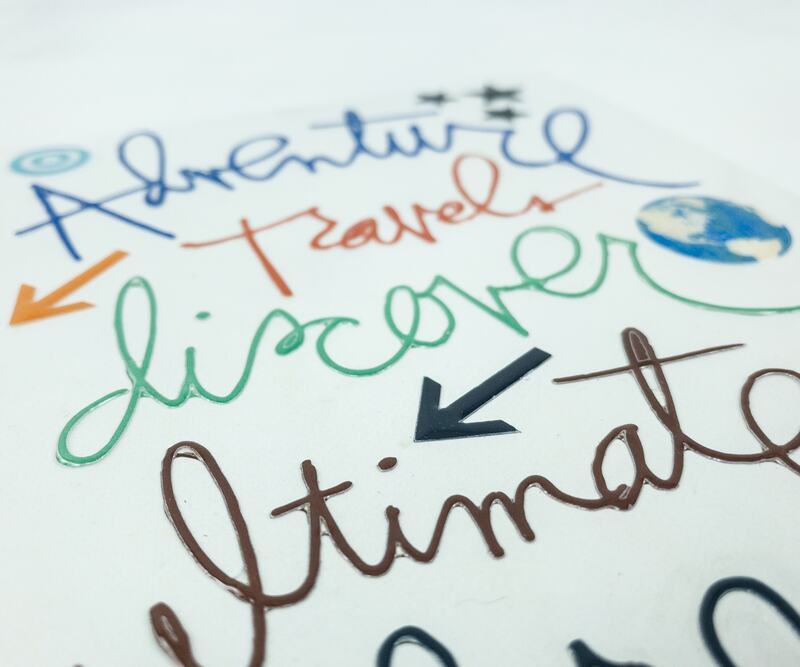 The theme for April 2019 is Explore! 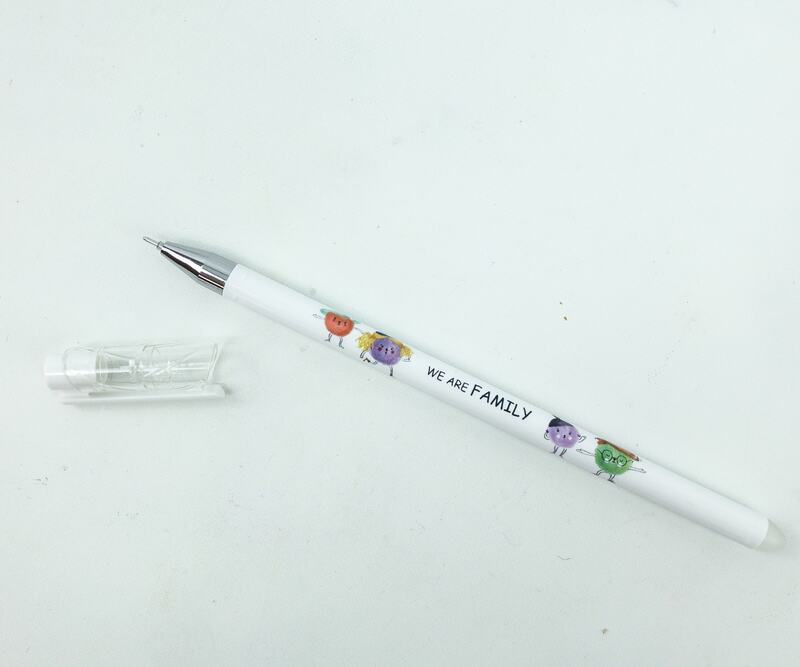 We Are Family Pen. 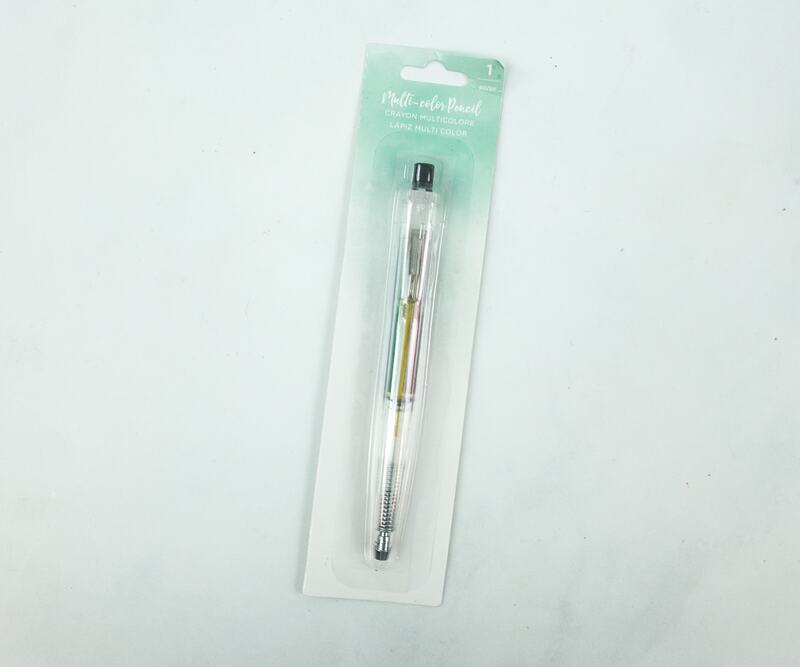 This fine tip pen writes smoothly on paper and creates a fine and thin output. 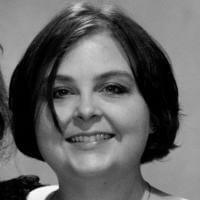 I also like how the ink is not too thick or watery. And it’s the cutest little design!!! 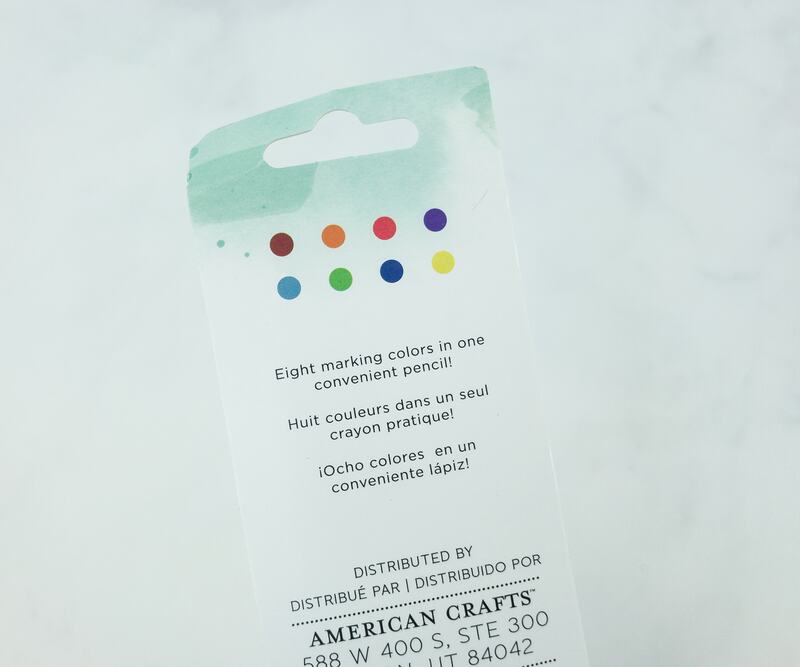 American Crafts Multi-Color Pencil – SIMILAR ($9.99) This multi-colored pencil is ideal for marking or highlighting verses or important quotes or lines in a book. 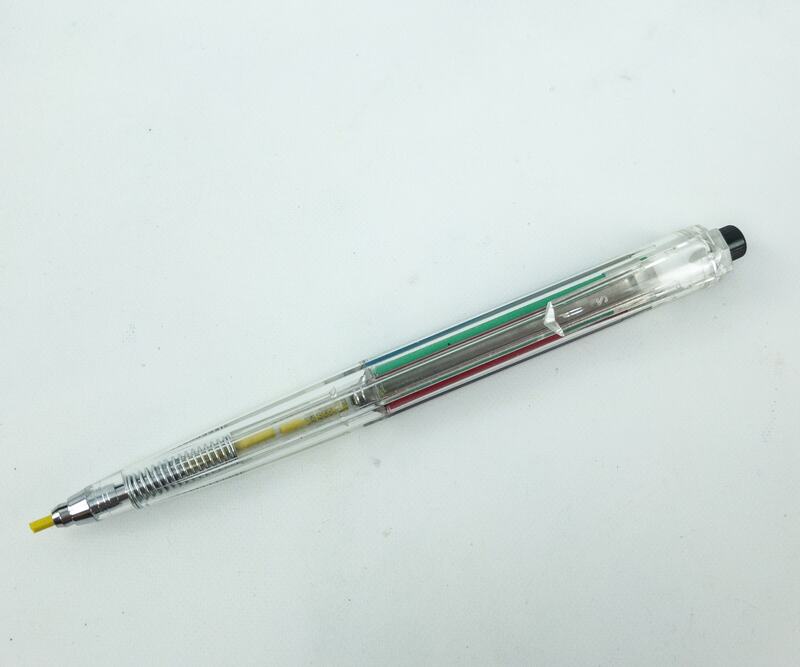 It comes in eight vibrant colors of 2 mm leads. 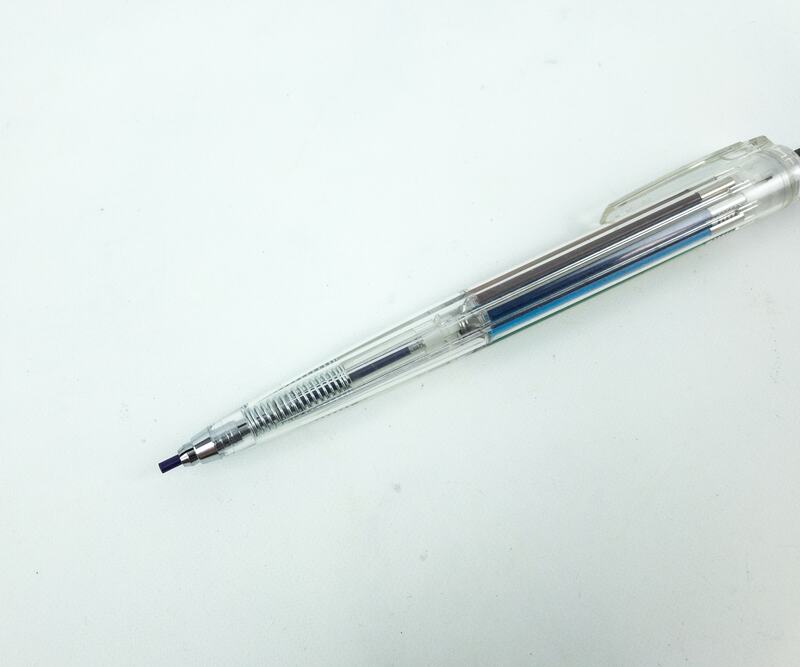 There’s no need to bring separate pencils. No more bulky pencil case for me! It includes light blue, dark blue, brown, orange, purple, red, yellow, and green! It’s easy to use. Just twist the clip to select your color and press the button to release it. 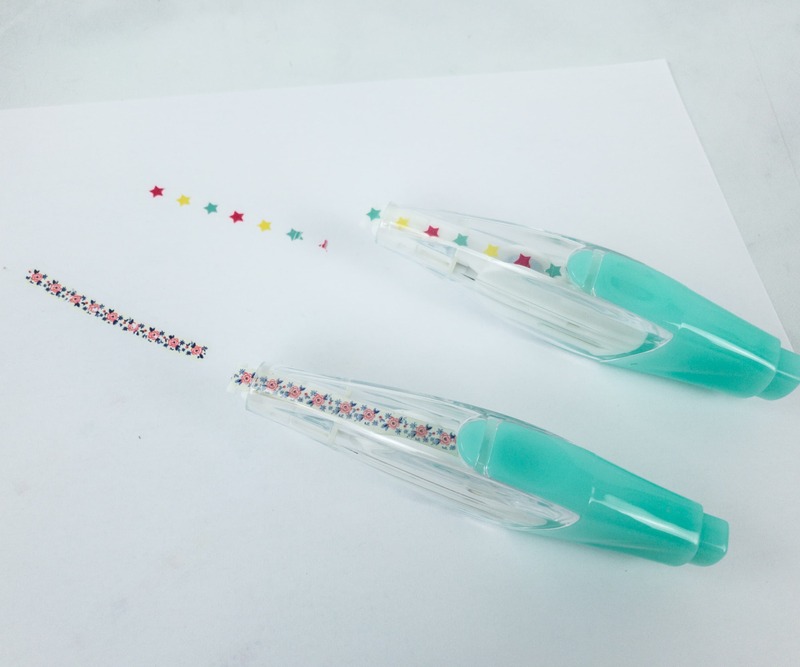 Shimelle Rub On Pens ($5.59) It’s a new fancy way of decorating! 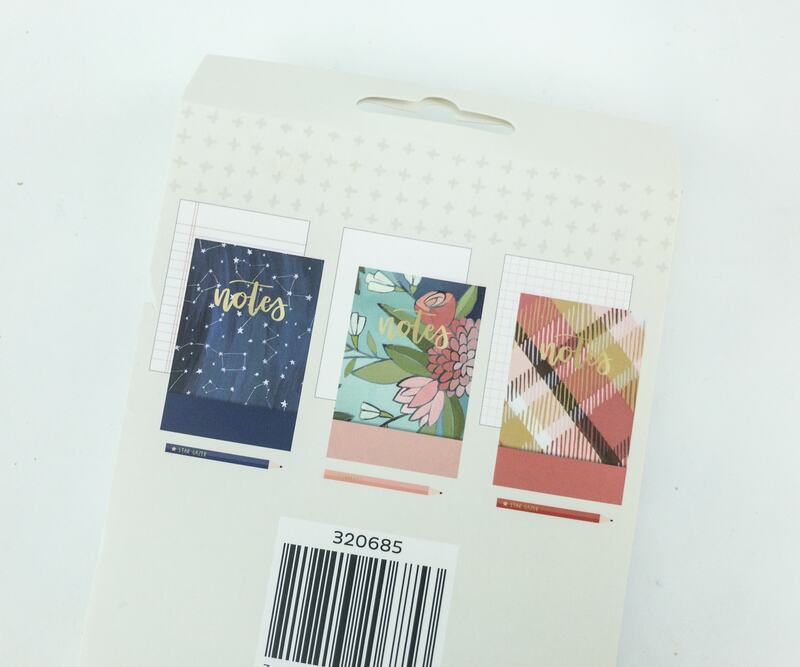 These rub-on stickers are perfect for making stylish borders or patterns for scrapbooks or just adding glamour to any artwork! It comes in two variations. 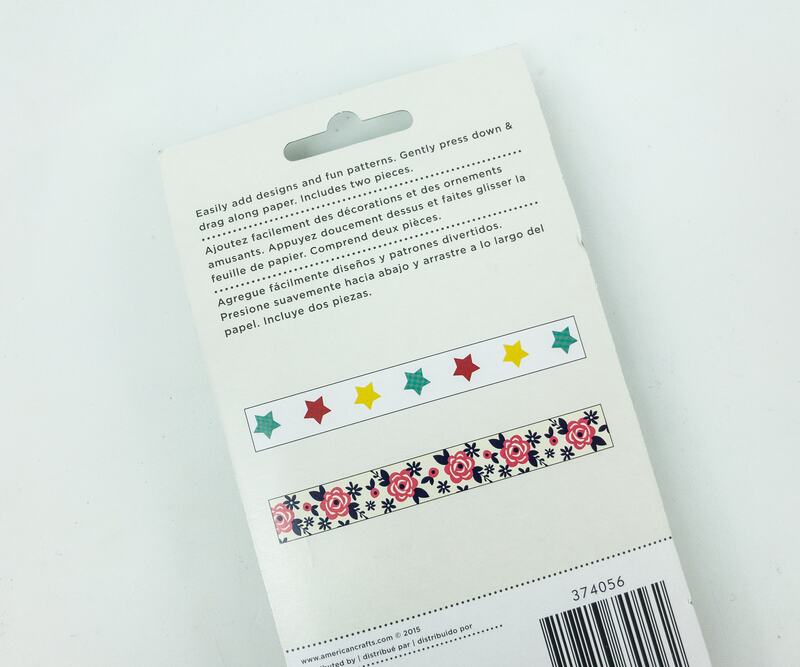 One is with pink roses and the other is with colorful multi-star prints. 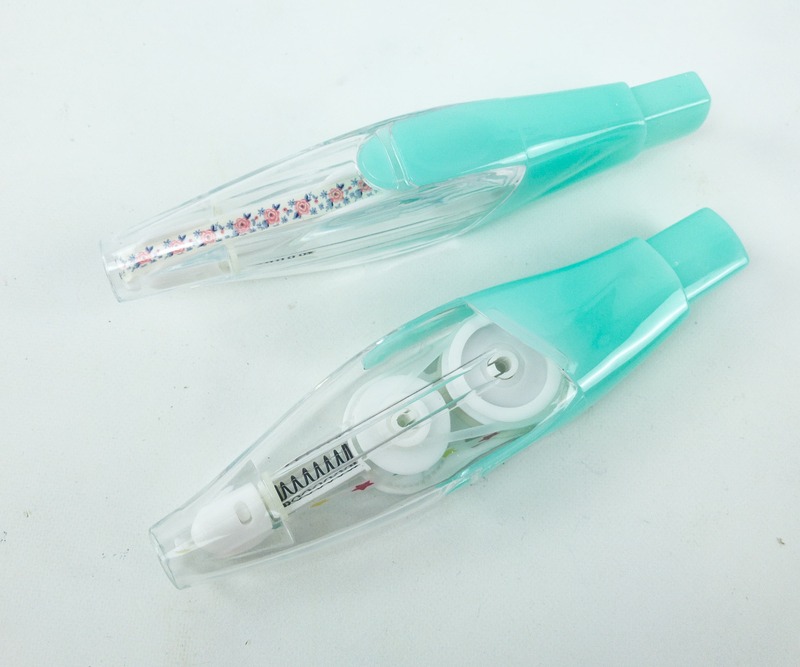 They have the same make and mechanism of the roll on adhesive tapes, only these rub on pens have decorative prints rather than glue. They stick easily on paper and even on cardboard. 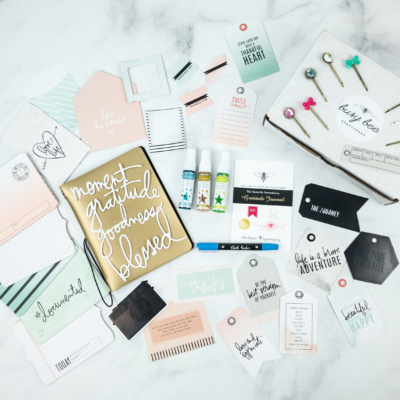 They really give life to any paper crafting projects. 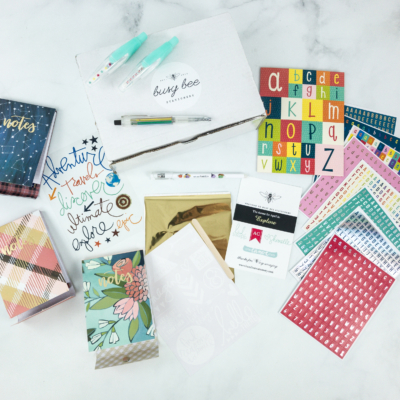 Creekside Notepads And Pencils ($5.99) It’s a set of 3 designer notepads in constellation, floral, and plaid designs with magnetic closures. 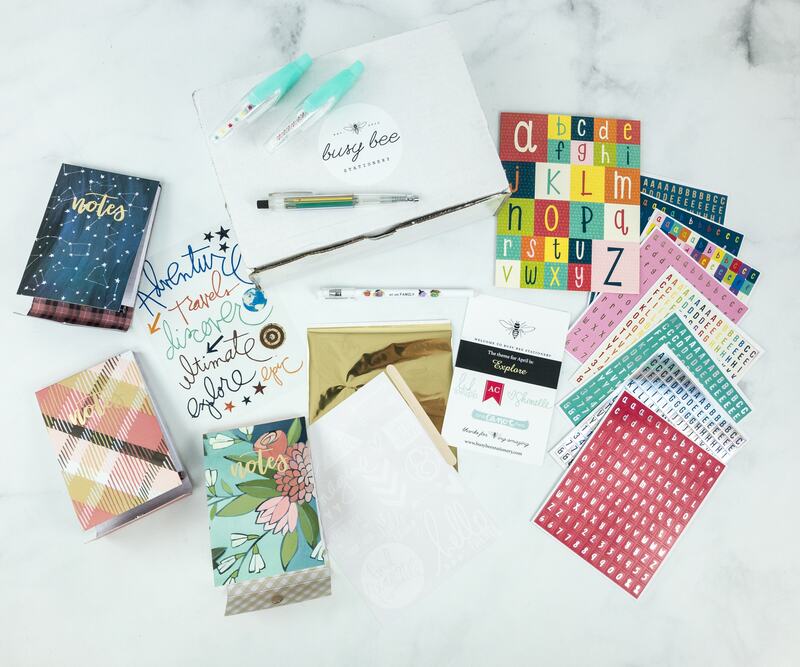 The package also includes one pencil with gold foil accent for each notebook. 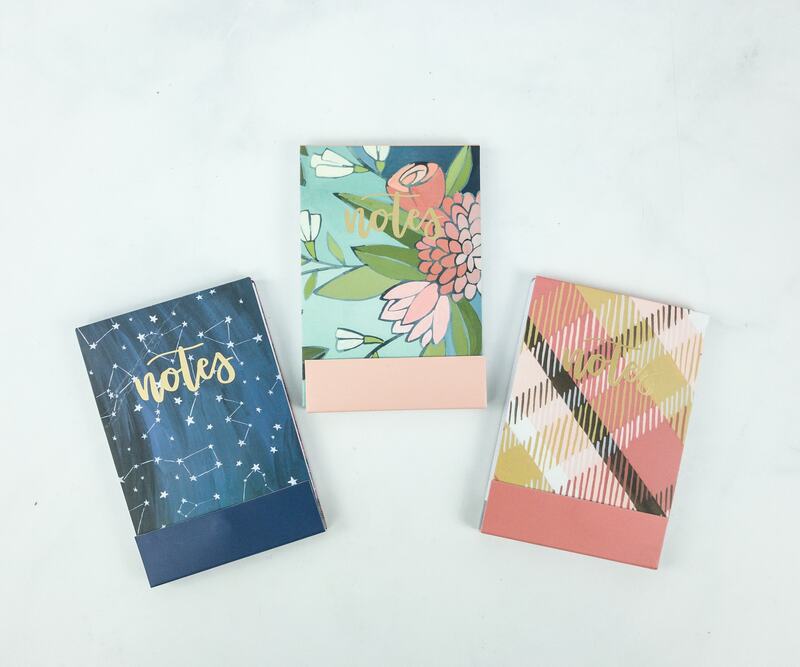 They even match the notebooks’ colors! 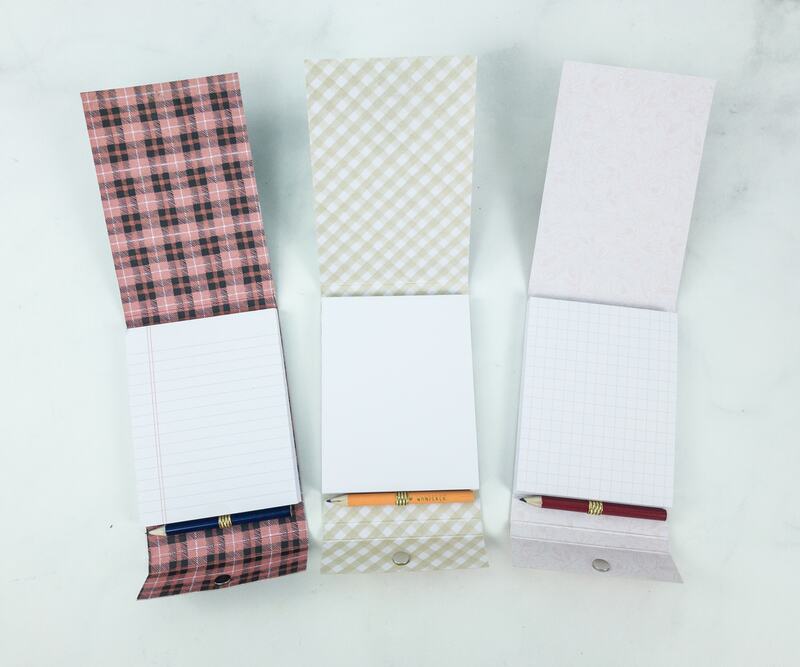 Each notepad measures 5.5″ tall x 3.75″ wide and contains 75 pages. 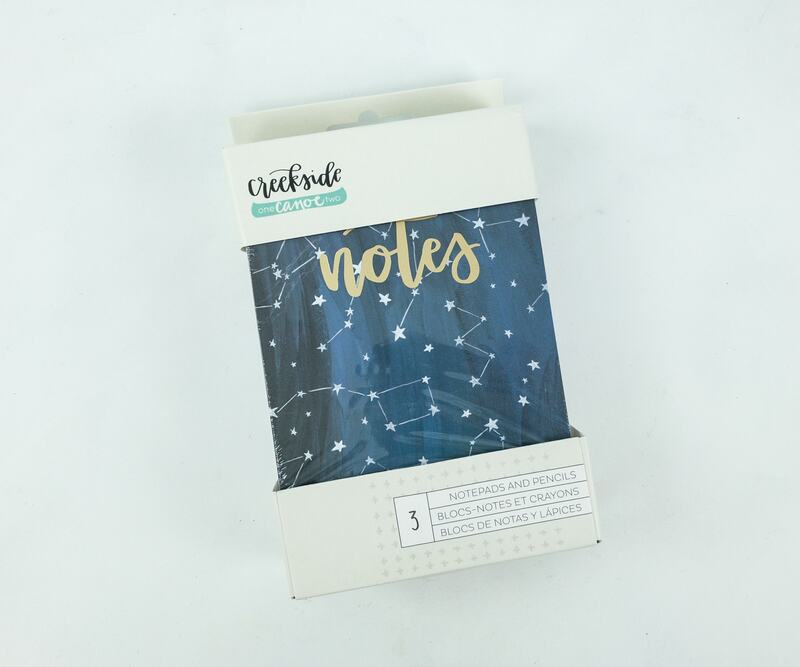 I can think of different ways on what to use these notepads for. 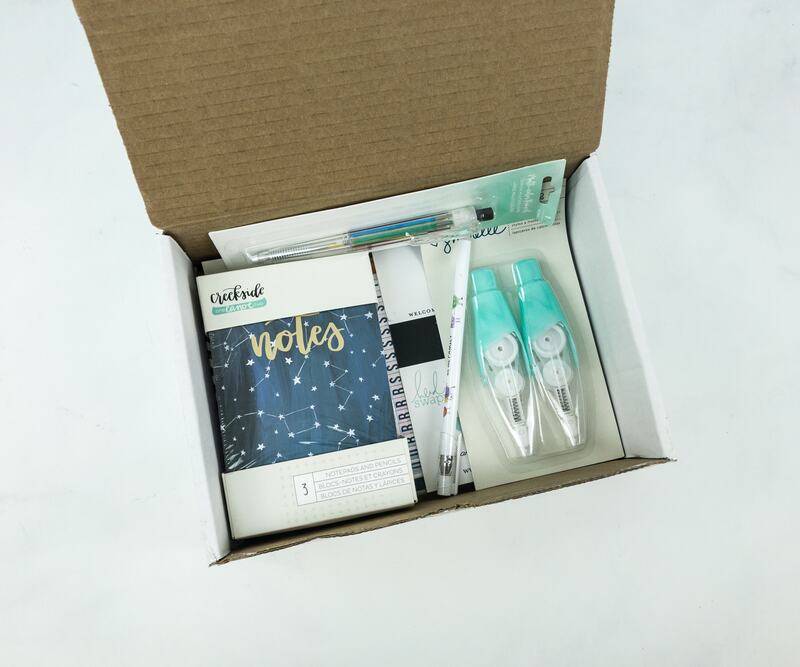 The blank page is good for doodling or tracing, the lined one is for making lists or writing notes while the one with graphing paper will work great as a guide for plotting and drawing two-dimensional images. 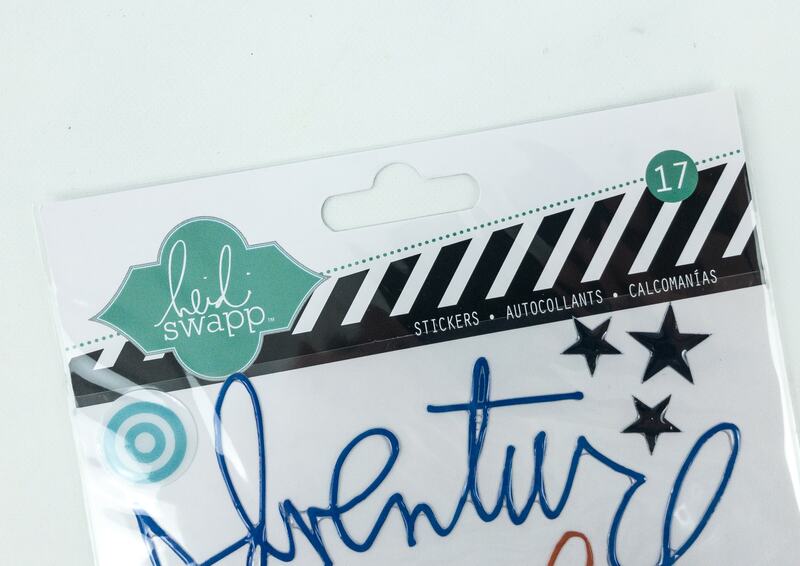 Heidi Swapp Stickers. 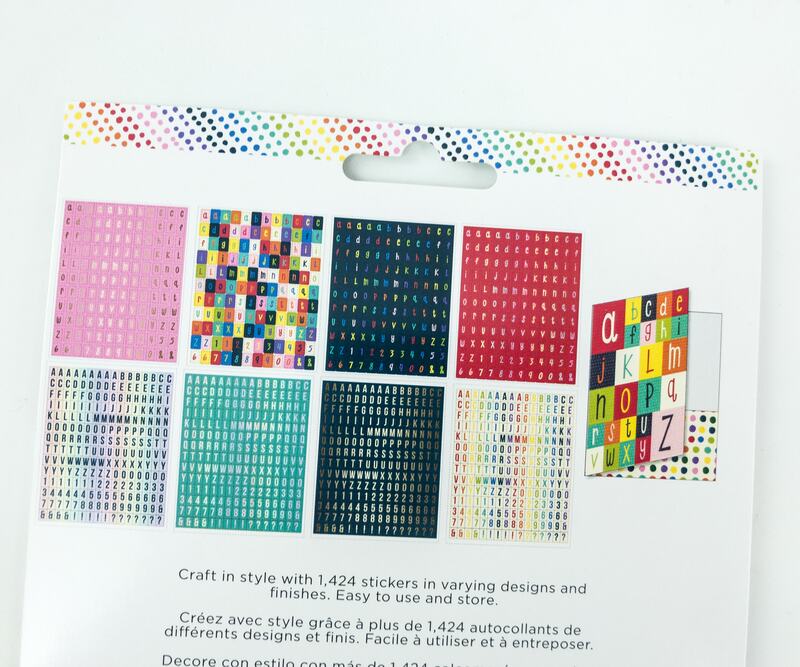 It’s a pack of memory planner epoxy stickers. 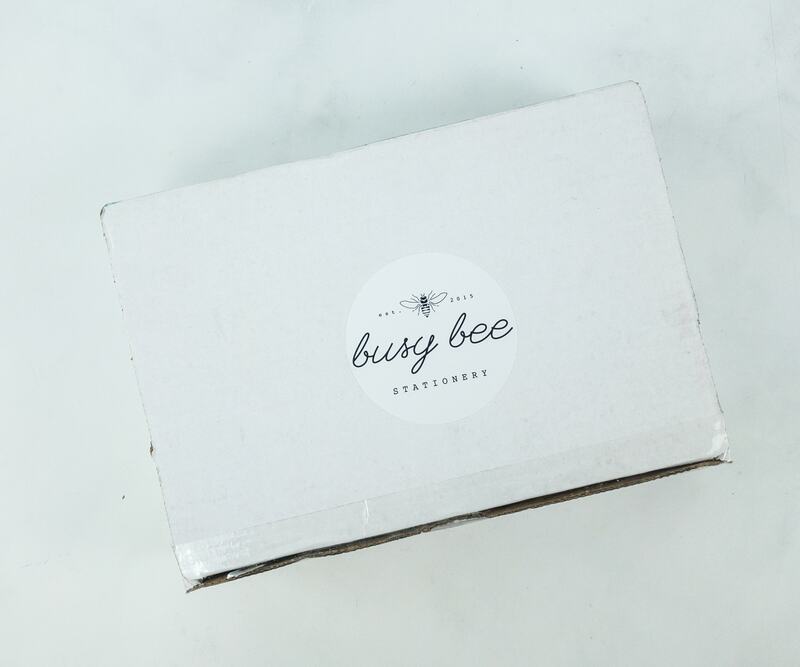 It contains 17 pieces of buzz words in multiple colors. I can use these to decorate our travel photo album or to embellish my planner and scrapbook. 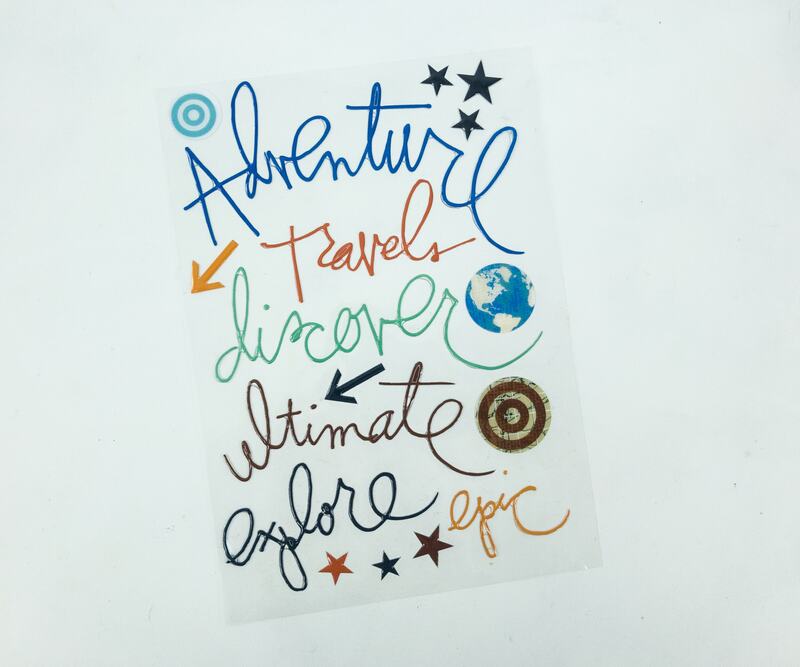 They can also be used as a marker of planned trips on a calendar! The stickers are a bit embossed for an added 3D effect. 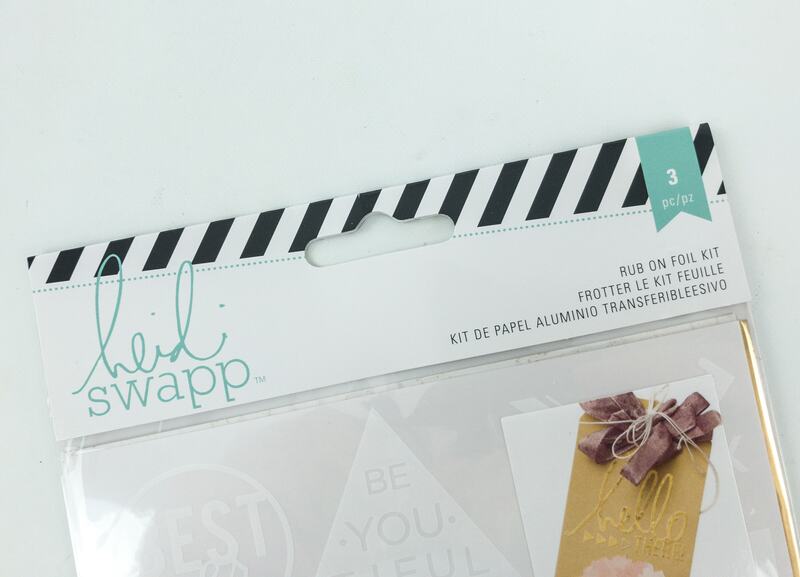 Heidi Swapp Rub On Foil Kit ($6.83) When creativity takes control, one can come up with really interesting decorating ideas such as this rub on foil that can add pop to any projects. Of course, they included step by step illustrations on how to use this item. It’s easy to follow. 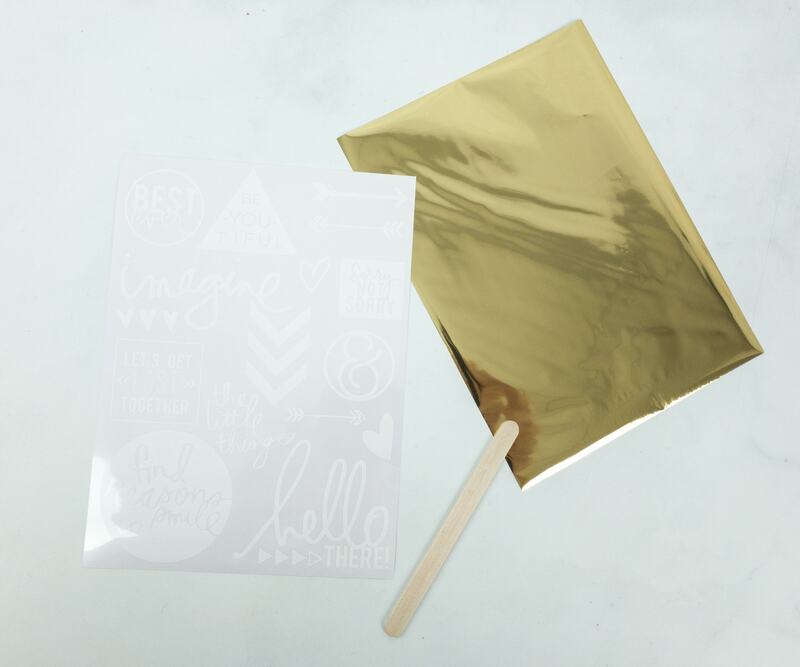 Each pack contains 3 items: a foil sheet with adhesive on one side, 20 white rub ons on one 7.5 x 5.5 inch backing sheet, and a stick to rub them with. 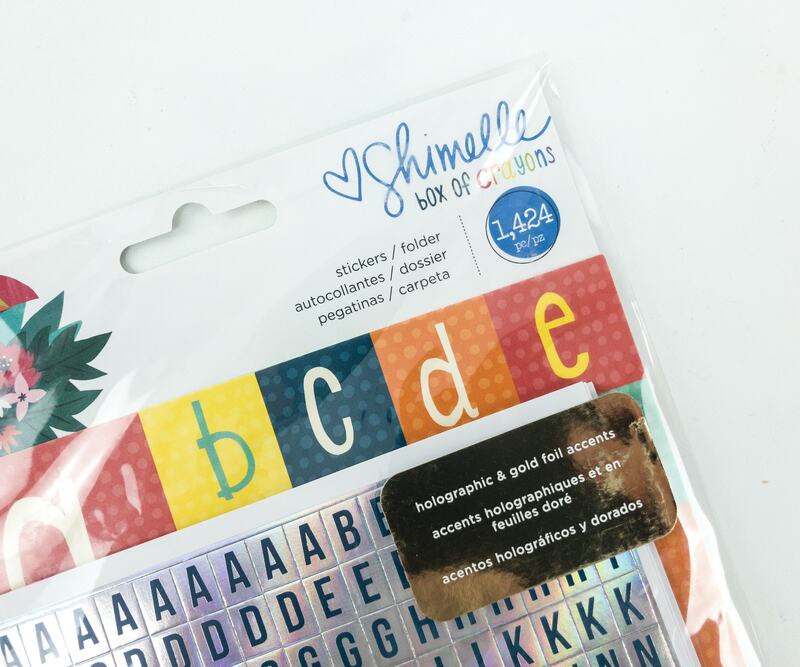 Shimelle Box Of Crayons Stickers ($4.37) It’s a pack of alphabet stickers in holographic & gold foil accents. There are 1,424 pieces in total! They can be used to add labels on anything. I am thinking of using them on my salt and pepper shakers and other jars of spices. I can imagine how cool they will be! 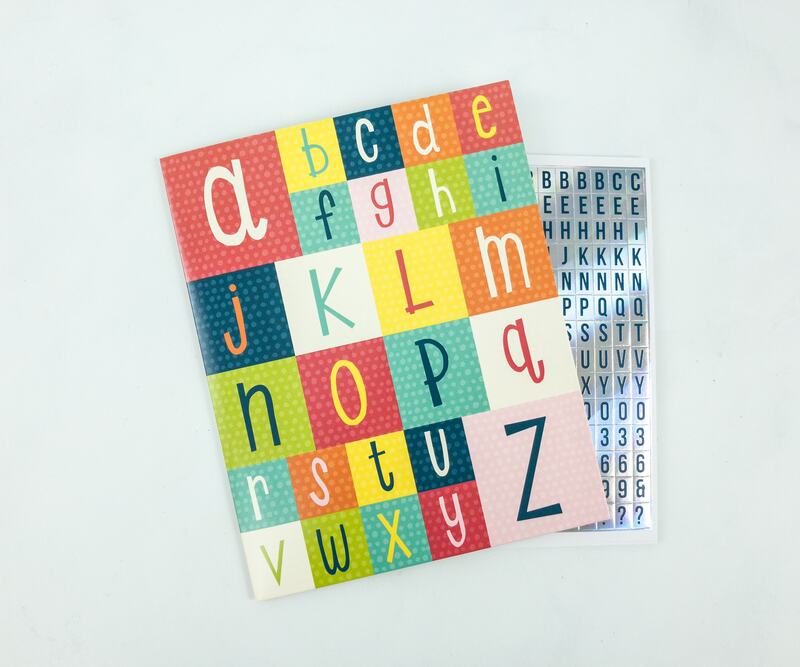 The pack also comes with a folder with alphabet prints on the cover. I can use it for keeping my sticker sheets. 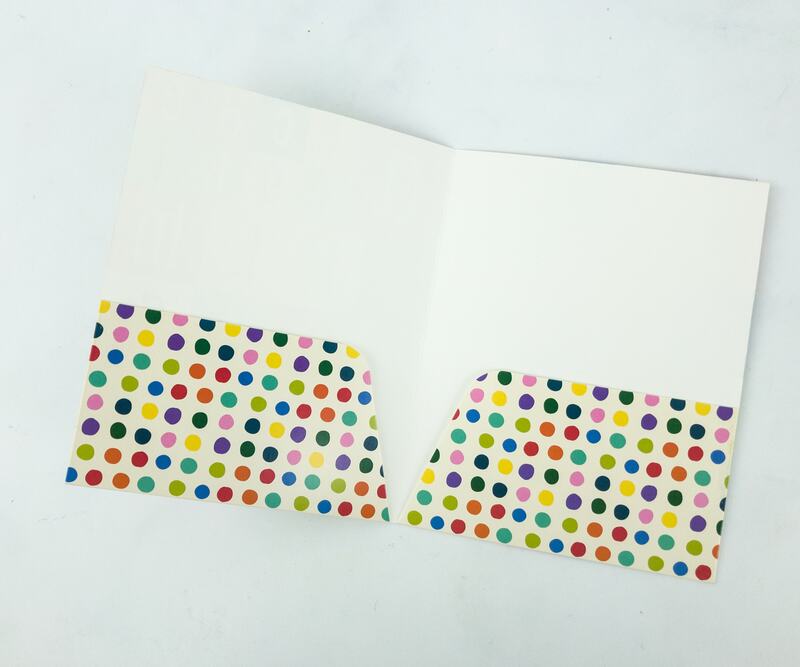 The folder is decorated with colorful dots inside! 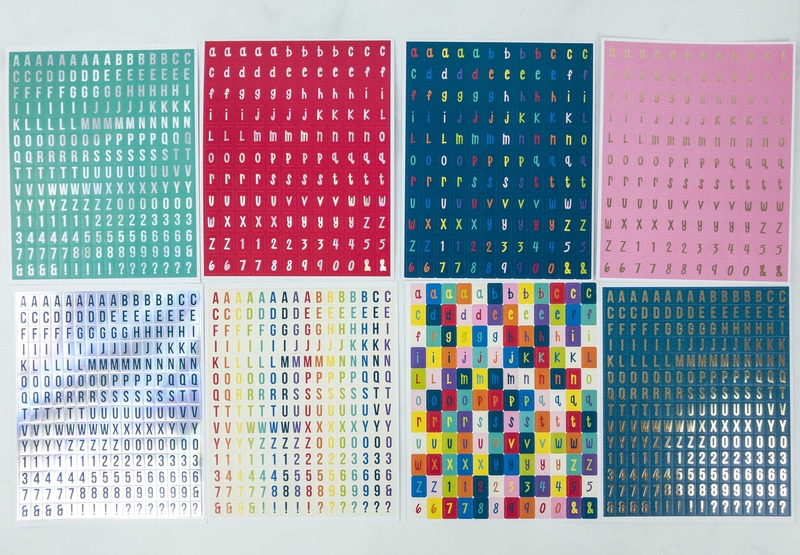 There are 8 sheets of alphabet stickers in different shades and styles. Some of them are holographic and some have gold foil accents. So mesmerizing! 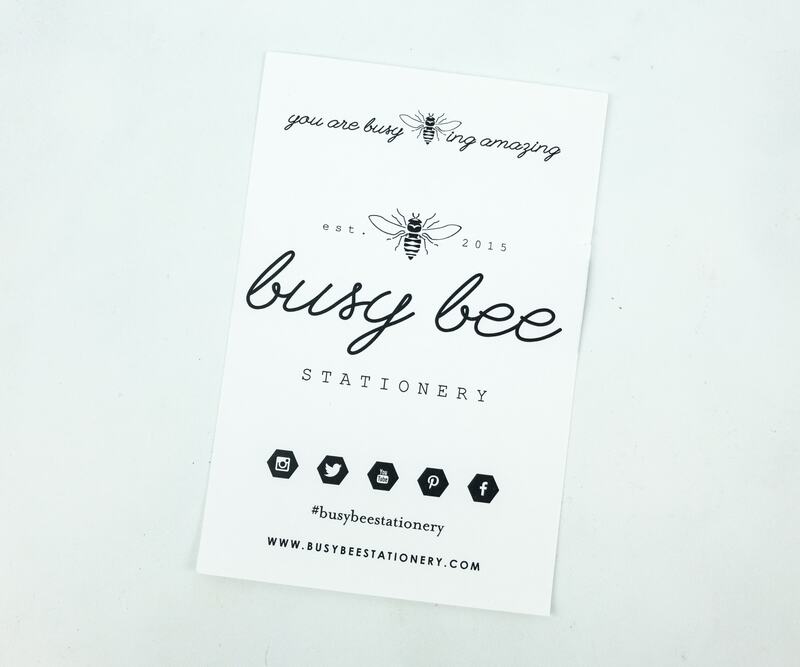 Each month, Busy Bee Stationery sends me items that inspire me to be more inventive and decorative in everything I do. 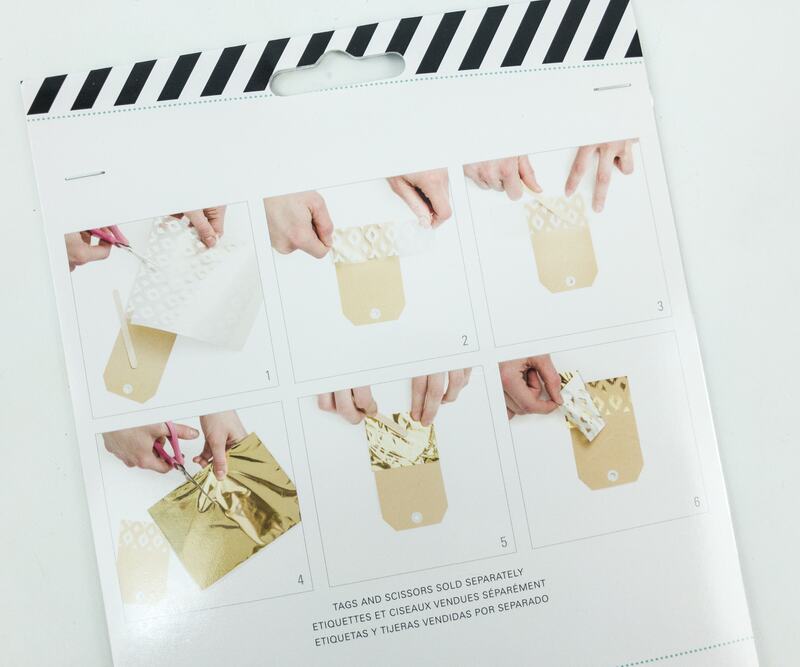 Now I am planning to begin with a new project using the stickers especially the rub on foil kit. It’s something new for me and I would like to practice and master on how to utilize it in making beautiful patterns and designs. The multi-color pencil marker was also interesting for me. Each color writes nicely on paper and I think they are better than my old ink markers. Without a doubt, it was another fun artistic experience!